L.A. Fashion Week just ended where Tiffany Brown Designs previewed their Winter 2020 line. When I think of fashion week I picture models rushing around. Yelling things like “I have a run in my stocking, who has the nail polish?”. This got me thinking about my favorite fashion solutions which I would love to share with you. 1. PINX How many times have you tried on a button-down shirt and you are left with two options: 1. A lovely gap right where your breasts are, or 2. Buy a bigger shirt which will not be as flattering? Enter these neat safety pin-like gizmos. You pin it on the inside button lapel, flip it around, then button your shirt. Presto! Now you won’t “mind the gap”. You can get them at Amazon here. One downside, I do not recommend you use these with delicate fabrics, as they may leave a hole in them. Which brings me to the next item. 2. 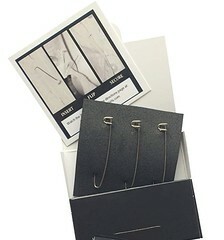 Scotch Essentials Wardrobe Tape Strips These can come in handy for a multitude of problems. It can be used on skin and fabric. Use it to secure scarves, avoid flashing others, or quick fix a hem. Get yours here. 3. Speaking of hems, don’t you hate it when you want to wear flats with your favorite black pants but you bought them at a length that works for heels? Enter Scotch Essentials Adjustable Hem Tape. Just fold the pants under to the desired length and use the strips on the inside of the fold. You can get them here. 4. Don’t you think it looks rather tacky when you are wearing a tank top or dress and your bra straps show? The solution: Elastic Non-Slip Bra Strap Holders by Cakye. They are adjustable and work quite well. Easy fix. Get them here. 5. Since we are on the subject of undergarments, I highly recommend this Flexees Maidenform Women’s Shapewear Long-Length Tank. If you have a bit of a belly this helps smooth it out. But the best part is it does it without making you feel like too much sausage stuffed into a casing and without that annoying roll-up. You can find them here. 6. Ok, don’t lie. We’ve all done it. You just have to wear that blue button down shirt today but where is it? At the bottom of the dirty laundry, totally wrinkled and smelling less than fresh. You will love this Downy Wrinkle Releaser Plus Fabric Refresher. I have an iron,…somewhere. But this product is my go to. Spritz it on, tug on the wrinkles and let it dry for a few minutes. You will be rewarded with a wrinkle free, sweet smelling top. You can find it many places including here. 7. Ready to go? Ugh, you love your cat, Fluffernutter. But his fur is all over your black pants. Get yourself this OXO Good Grips Furlifter Pet Hair Remover for On-The-Go. Brush away the fur and insert it into its case to clean it off, repeat. 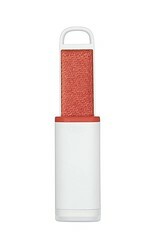 It comes in this nice travel size and a larger one as well. Check it out here. 8. I’ll admit it. I’m a klutz. 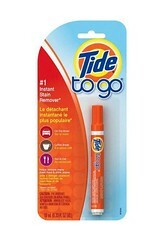 I always end up spilling food on myself, This Tide to Go Stain Remover Pen works like a stain eraser. A must for your fashion first aid kit. Get yours here. 9. Next on the list is for those of you who like to wear heavy earrings. And maybe your holes have stretched out a bit. 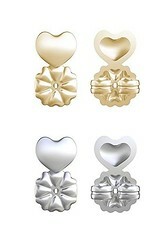 These Magic Bax Earring Lifters can help prevent stretching and make your earrings hang straight. 10. To finish our list I have a solution to another common jewelry problem: allergic reactions. Paint this Euro Tool Jewelry Shield onto the metal parts that will be touching your skin to create an invisible barrier. Multiple coats are suggested and the product may wear off over time and need to be reapplied. Available on Amazon here. So there you have some items to help with common fashion problems. Which ones would you like to add to your designer bag of tricks? Do you have more items to add to the list? I would love for you to share. Wow, So many of these I never heard of! Thanks! Thanks for commenting, Beth. I hope you found something you liked. Great tips. I especially ike the non-slip bra strap holder idea. I’m thinking it will work even for bra straps that want to fall down! Yes, great idea. They would definitely keep them from slipping off your shoulders. Thanks! Thanks for reading it and your kind words, Selene. Well, thank you so much! Glad you like it! now not certain whether or not this submit is written by him as nobody else know such special approximately my trouble. So glad you like it! And I’m fairly certain that I am not your cousin. Glad you found it helpful. Thsnks for commenting!